You probably have memories of building forts from pillows, blankets, couch cushions and whatever you could get your hands on without Mom or Dad getting angry. Now Donna Wilson has dreamed up an easy DIY play house solution with the House Throw Play Den Set. You'll get a super-soft lambswool blanket, cleverly woven to depict a door and windows of the house, along with a simple wooden frame of dowels to drape it over. The set is handcrafted in England and sure to spark plenty of imaginative play. But if you like the idea of more opened-ended indoor fort building, you can opt for a single House Throw instead. Available in pink, green and mustard, the reversible blanket is the prefect thing for creating play houses. Just drape it over a couple of chairs instead. The set is handcrafted in England and sure to spark plenty of imaginative play. But if you like the idea of more opened-ended indoor fort building, you can opt for a single House Throw instead. 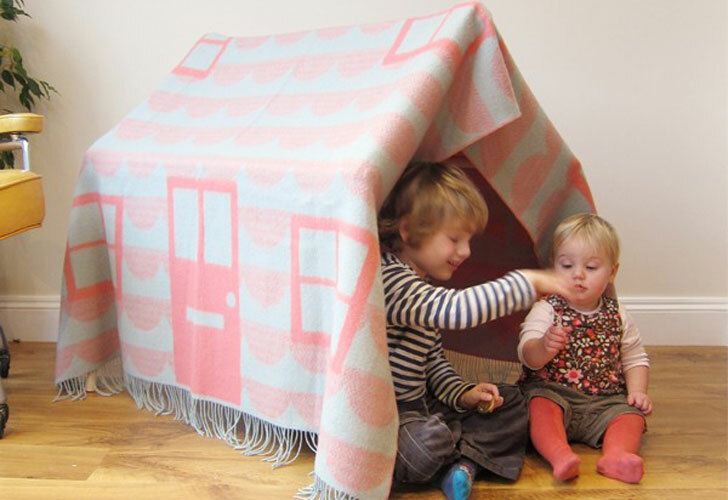 Available in pink, green and mustard, the reversible blanket is the prefect thing for creating play houses. Just drape it over a couple of chairs instead. 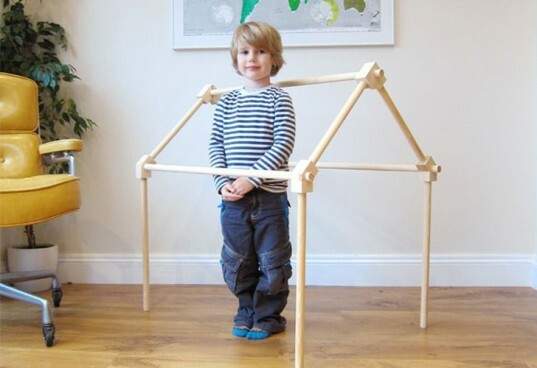 If you choose the set, it comes with a wooden dowel frame to give the play house shape. Whether you have a toddler or an older child, you can bet they'll love crawling inside this play house.